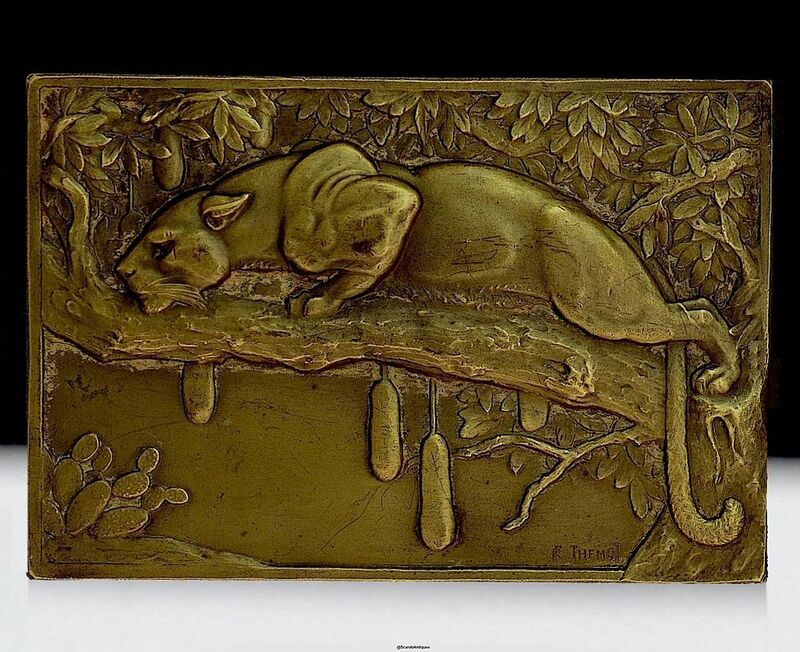 This is one of the fabulous animal plaques sculpted by Rene Thenot in the late 1930s. The obverse of the rectangular plaque depicts a leopard looking down from the bough of a baobab tree. It is signed "R Thenot". The reverse is blank and the rim is stamped "Metal-D" which I understand is bronze and has the Cornucopia mark of the Monnaie de Paris. This plaque is one of a series of 10 depicting African animals.